I love my pony! We had our first real jump lesson- with tiny jumps- back since our vacay and Oats came back great, if a little half-assed haha. 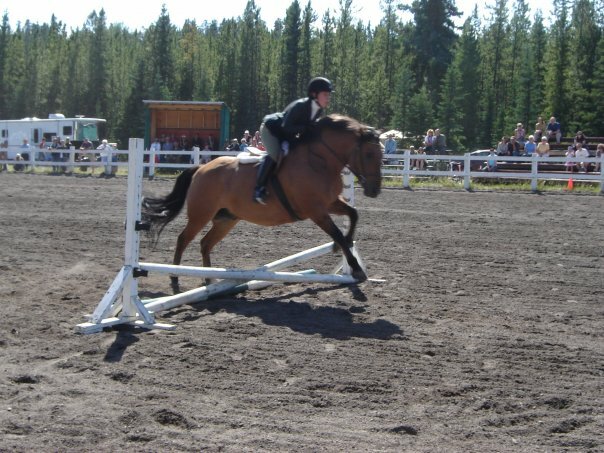 He could NOT be bothered with tiny jumps, so he sauntered over them the whole time. Me from literally three years ago. We worked over a small gymnastic (remember our last gymnastic experience- it did not go well- and this one was great) and then over a small course a few times. He was lovely! My eye kind of sucked and I made a few ‘non choices’ when it came to distances (yes-no-yes-no…go!). Also positives- the jumps were tiny, rode tiny, and didn’t excite me at all. Hmmm! Had a fairly quiet weekend, rode Fri-Sat-Sun, and also did another equine wellness session on Saturday as well. Friday night was super windy, but hot. The horses were up and spooky- Oats had one BIG spook at the ‘scary corner’ in the outdoor and I lost a stirrup, but I stayed on and recovered fine. I did feel a bit anxious about it, but then kind of forgot when we went up to canter- highlight of the night- a GREAT canter. Ah….So lovely. Saturday, I went for a run with my husband and our friend. When will my legs feel better? (probably when I stop exercising every day)…they were tired, aching and felt quite draggy. Come to think of it, they still feel like it and now it’s Monday! Ooops. Rode Oats later in the day, before our session. It was actually a pretty fun ride, set up a bending line x-rail to a tiny- 1ft vertical. We bungled through it a few times, Oats got distracted by something in the field, or wanted to spook, or flat-out decided to trot over it instead of jumping – we ended up moving up to canter to make him ‘jump’ the tiny exercise. Overall a nice, positive ride. In my wellness session (that does feel a lot like counselling!) we discussed zones of comfort/toleration, and a breathing exercise. The neat part about the breathing exercise, alternate-nostril breathing, was that Oats responded very well to it when we practiced it near him. He came over, and yawned and was super relaxed. It was a neat effect, and made me realize that by being on-edge and anxious a lot of the time I’m near him really does affect how he sees me. We also discussed taking time off jumping but I am undecided about that- I did sign up for a jumper show, and I actually do feel quite resistant to taking time off jumping! I think that’s the stubborn part of me talking. Well, one day and one step at a time. I will do the show and use it as a barometer, to measure how I’m feeling about jumping and showing- if anything, I’ll learn something from it. Sunday- I felt strange going out to the barn. I felt edgy and kind of bummed out. The weather was grey and chilly, and I had been hoping all week to get to the beach to enjoy the sun. I was also thinking a lot about my dad, and how my upcoming trip to the Stampede was something I always did with him, and now we’re planning and going w/o him. It feels strange- I even told my husband it felt like he was dead or something (he’s not! but it still seems like I am mourning something here…a loss?). Riding was ok, Oats was a bit spooky about the ‘scary corner’ and we weren’t connecting as well as we were on Saturday. I do chalk that up to my changed moods, markedly from Saturday to Sunday. I did ride him under the tent though, just because it made me laugh (and because we could! haha). I banged my helmet on the roof though, so I don’t recommend anyone with a taller pony try it, ha! Also some sad news, my grandfather passed away yesterday. I’m sad that he went so quickly, but I am glad that he is no longer suffering. 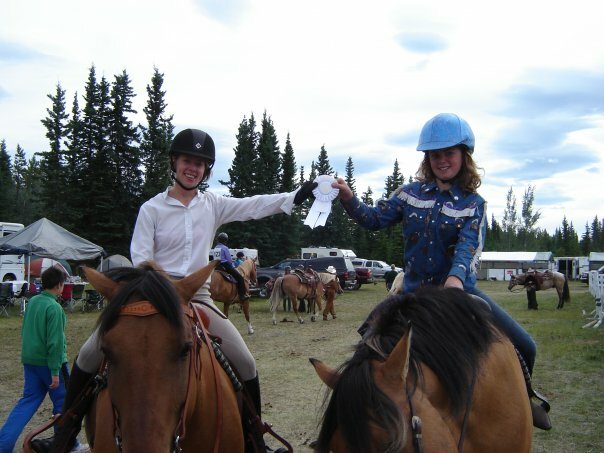 The Yukon had 1 horse show when I rode up there- the annual Whitehorse horse show. 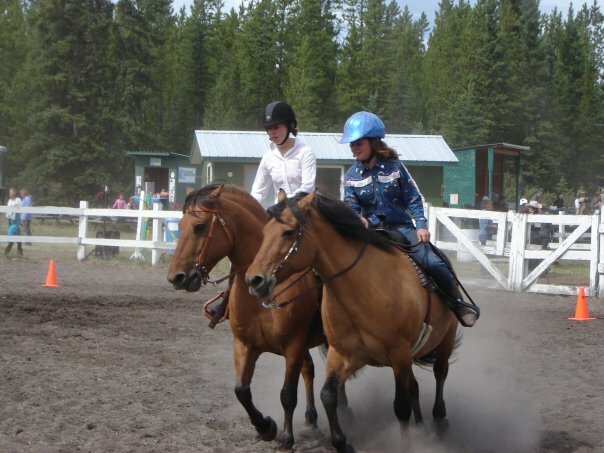 It was held by the Yukon Horse & Rider Association. 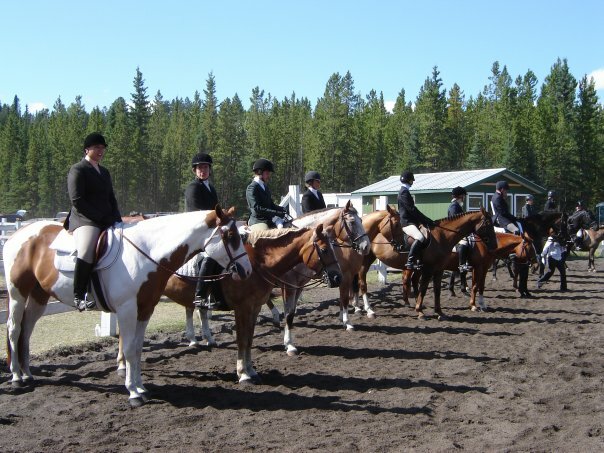 They held everything from dressage, to western, to games, to hunter/jumper. Sometimes I was really impressed by the skill, mostly others I was horrified for people’s lives. Particularly the jumping…Yikes. The lack of practice really showed, and took a toll on some of the horse/rider combinations. Mine too actually! There aren’t that many trainers up North, and the ones that were up there could be a little…rustic. 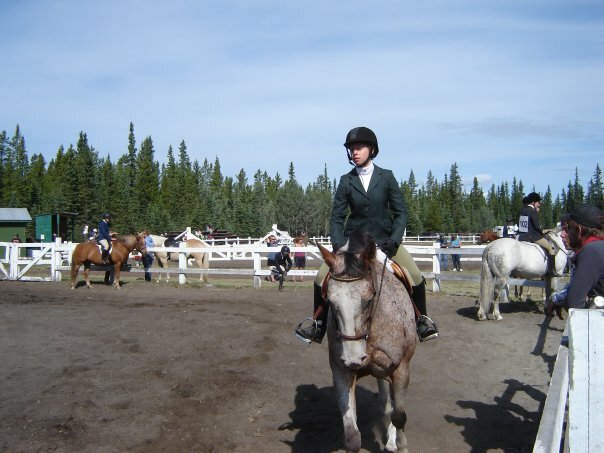 I rode two horses- Yukon (or Cool, can’t remember) a tough little Fjord cross, and Josie, a tough big appy. Fun horses, and I had a fun time at the show! I recall we even placed in a few of our classes…seconds and thirds, I believe? They had a great swag bag of stuff, and I won a gift certificate of $25 in the draw for the local feed shop. Whitehorse at the time didn’t have a tack shop, just the feed store and the pet food store that also stocked select horse items. The cashier at the feed store tried to sell me on ‘Muck Boots’ as okay for riding…Yeah have you seen how big the footbed is? I don’t think so! !